FEELING GOOD ABOUT THE FISH AND CHIPS YOU BUY! 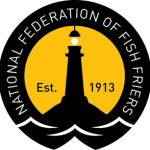 Fish and Chips has been our business for over 30 years and we wish it to continue for many years to come. We therefore take the subject of sustainability very seriously and have for many years been concerned about the over fishing of the nation’s favourite fish; especially cod and haddock. We care about the world around us and what mother nature gives us. We therefore make sure that all of the fish sold in our shops is sourced from sustainable, well managed fishing sources. Such as the crystal clear waters of our Northern and Arctic seas, from fisheries run with an intelligent and concerned view. This will hopefully help towards ensuring a long term future for the worlds’ fishing stocks, to be enjoyed for many generations to come. In our efforts to lessen the burden on cod and haddock stocks, we always have and will continue to encourage our customers to try different and lesser known sustainable species offish. Such as: Pollock; Coley; Hake and Panga. Furthermore, during our years in the business, we have created a strong relationship with our fish suppliers who are just as passionate about sustaining fish stocks as we are. This means that all of our fish is supplied from vessels that are MSC (Marine Stewardship Council) certified. In recent years almost everyone within the fish industry has come to recognise the importance of the sustainability of cod and haddock stocks. To make sure that you get the complete picture, here are a few facts that may surprise you. Only 10% of the fish sold in Fish and Chip takeaways and restaurants is caught in the North Sea where sustainability and over fishing problems have been high-lighted in the media. 90% of the fish sold in Fish and Chip takeaways and restaurants are caught in the cold well managed waters of the North Atlantic, Barents and Icelandic Sea and obtained from responsible fishing nations such as Iceland and Norway. Successive British Governments and European Legislation have ensured that there is not a single deep sea factory trawler remaining in the British merchant fleet. Over 90% of fish sold in Fish and Chip takeaways is either cod or haddock. Due to responsible fisheries management, North Atlantic cod stocks are the highest they have ever been in decades, and haddock stocks have almost tripled. The North Sea has now been MSC certified for haddock. Frozen at sea MSC certified cod and haddock is now available from Norway. Fish and Chip takeaways and restaurants buy their frozen at sea fish from relatively few responsible fish merchants and fish wholesalers who in turn obtain most of their frozen at sea fish from outside the UK waters. So there you have it. 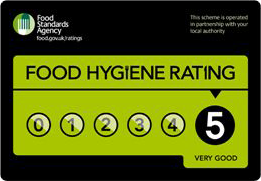 You can continue to enjoy the UK’s favourite takeaway knowing that its’ future is in safe hands.